I love beans. Always have, always will. When my Nonno & Nonna would come out to California to visit us they would make for me a mix of beans, vegetables and tuna to have on hot summer days. That dish is permanently imprinted into my memory. It’s associated with lazy days by the pool and the feel of crispy bread covered with that flavorful spread. After that, I was hooked on beans. If you have not tried using dry beans instead of the canned ones, now is your chance! It’s like eating a different substance. Dried beans when cooked properly have texture and true flavor. They are absolutely nothing like the slimy beings coming out of cans. Even better, they are cheap, easy to cook and packed with vitamins and nutrients. I used a crock pot for these as I have been very busy and in need of low maintenance recipes. You can literally make this in about 10 minutes and come home to an incredible smell letting you know there is eating to be done. Dried beans require a good soaking. 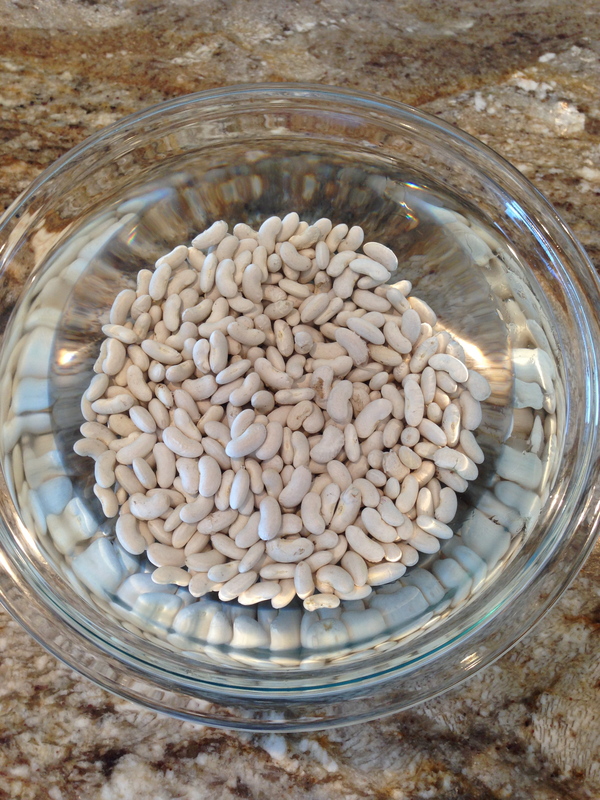 Soaking makes for less cooking time, gets rid of the dirt and makes the beans easier to digest. I soaked mine overnight. But, as long as they soak for 8 hours you are good to go since they are going in a crock pot. We aren’t too worried about lessening the cooking time for this recipe. Dried Bay Leaves are a must for this. I always buy a nice bunch at the Farmers Market then dry them myself. 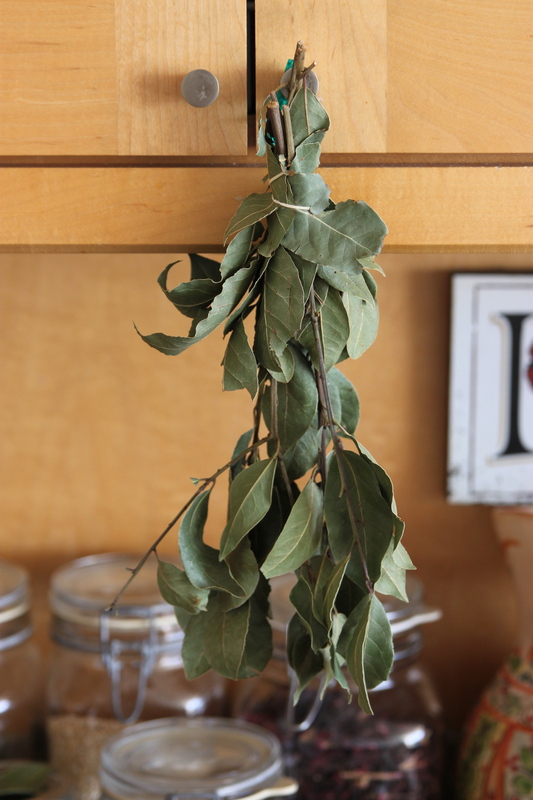 It’s super easy and way less expensive than store bought Bay Leaves. And they have more flavor! Garlic, basil, sage and a bit of salt & pepper. I grow my own herbs for dishes like these. 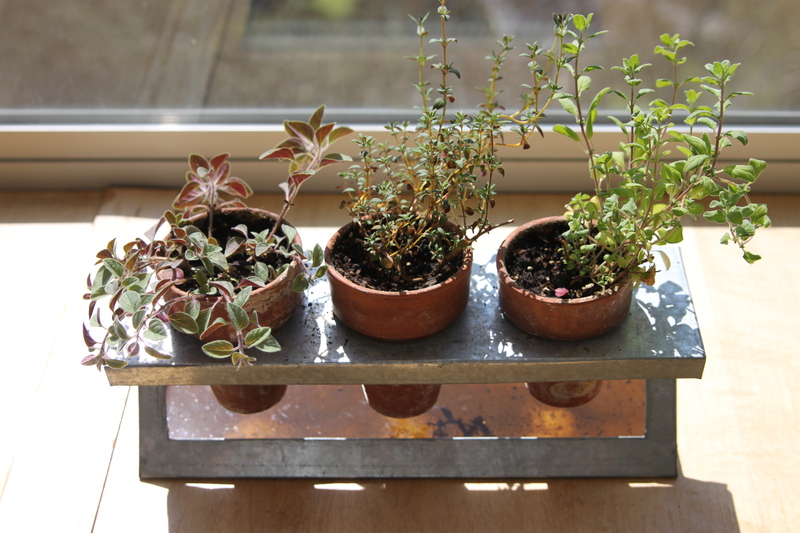 Here I have fresh oregano, thyme and marjoram. You can’t beat herbs taken right off the plant. Top with about an inch of water and turn the Crock Pot to low. I make enough to have throughout the week for lunch. Top with fresh ground pepper and a drizzle of high quality olive oil. Fresh parsley is great if you have it, I didn’t. 1) Wash your beans in a fine mesh colander for about 1 minute. Then, place in a large bowl and cover with water. Soak beans for at least 8 hours. Overnight is best as you can then put the beans on in the morning and come home to them later. I soaked mine for 12 hours and changed the water once for good measure. 2) Once beans have soaked, strain them in a colander and rinse them off. Then place them in a large Crock-Pot. 3) Remove garlic cloves from bulb and give them a gentle smash. Place them on top of the beans. 4) Rinse all fresh herbs and dry. 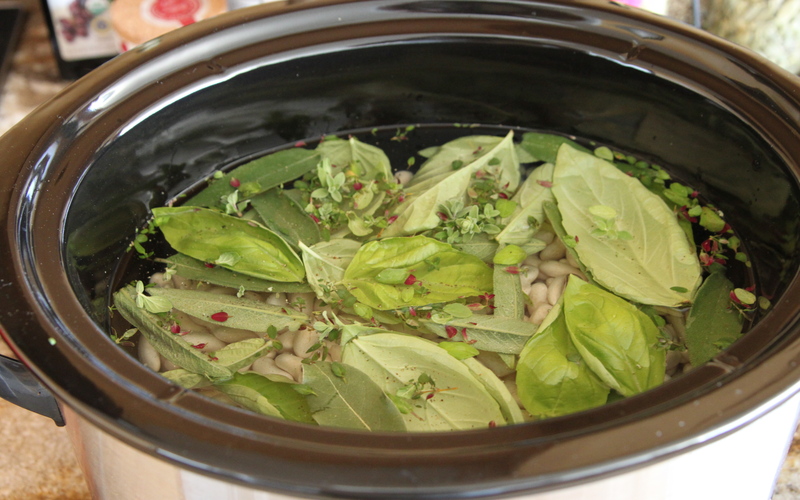 Then remove the leaves from the stems and add them to the crock pot placing them on top of the beans. 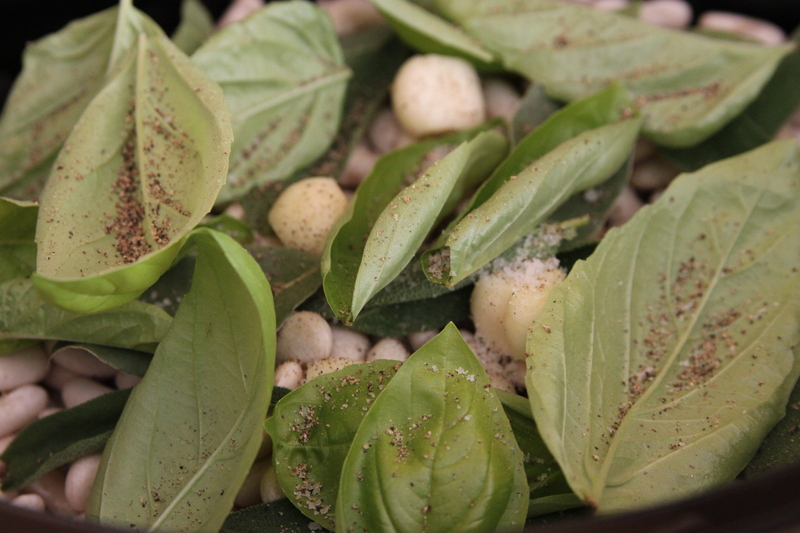 5) Add bay leaves to the crock pot along with a healthy amount of fresh ground pepper. Add the 1/2 tsp. of sea salt. I add just a little bit of salt as I think it helps the beans retain water and keep their skins. But, you don’t need more than that for cooking. 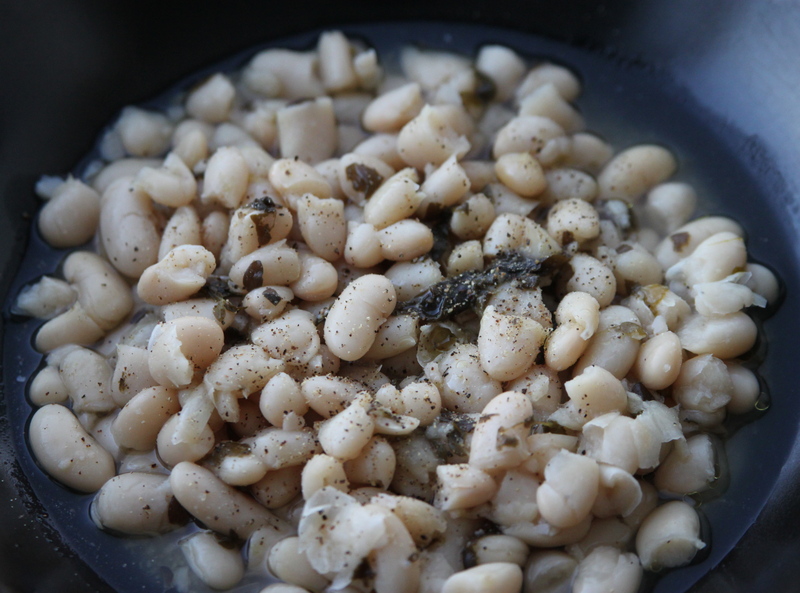 6) Cover beans with fresh cold water. You want them to be covered by about an inch of water. If you soaked your beans for more than 10 hours you only need about 6 1/2 cups. Just make sure the beans are covered. 7) Turn Crock-Pot heat to low and set time for 8 hours. Cover. 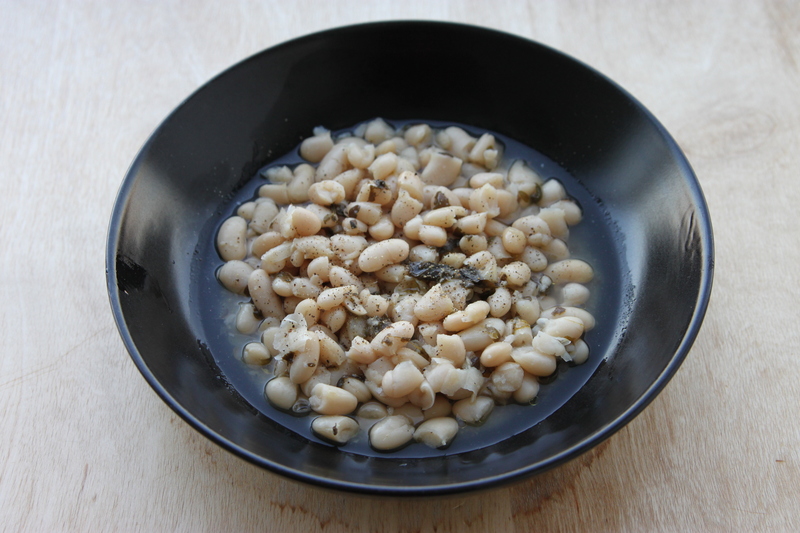 8) Spoon beans into bowls and serve with a drizzle of good olive oil and a twist of fresh ground pepper.